IN some recipes, you may come across instructions about beating egg whites to a certain peak. How can you tell the difference between soft, firm and stiff peaks? Here’s a quick guide to help you out. When you dip a whisk into the beaten egg whites and pull it out, the peak will rise with the whisk but fall over right after. 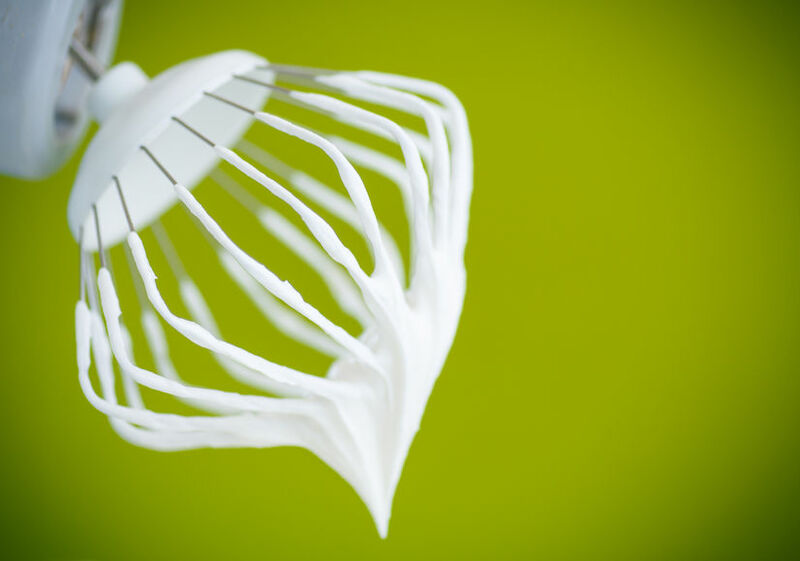 When you pull out the whisk, the peak should hold its shape, but the tip will curl inwards. When you pull out the whisk, the peak should stand upright. Getting the right peak is very important as it can make a huge difference in the recipe. It can result in a lighter meringue, change the texture of macarons and make a fluffy pandan chiffon cake. However, getting the correct peak can be a little tricky, especially for beginners, but don’t let that intimidate you. There are steps you can take to help you make the process easier. To help prevent the mixture from becoming over-beaten, stabilisers are added. Stabilisers that are commonly used are lemon juice, cream of tartar or distilled white vinegar. The bowl and whisk must be wiped dry and clean. Get rid of any grease in the bowl or whisk. Just rub them down with a lemon or wipe them with some vinegar. When separating the egg whites from the egg yolks, make sure that none of the egg yolks get mixed in with the egg whites. The egg yolk will prevent the egg whites from achieving the perfect foam. Run cold tap water over the bowl and beaters before use. Chill the bowl and the beaters in the fridge for at least 30 minutes before whipping the egg whites. If the weather is too hot, try nesting the bowl in a tub of ice while you’re whipping the egg whites. Cold egg whites will result in more stable peaks whereas eggs at room temperature will whip up faster. When you start beating the eggs with a hand or stand mixer, make sure to start out at a lower speed first. As it starts to get foamy, slowly add in the sugar and increase the speed. Make sure to add the sugar gradually as adding the sugar at one go can break the structure and prevent peaks from forming. To check if the mixture is done, try rubbing a small amount of the mixture between your fingers. If the mixture feels grainy, whip it a little bit more. You’ll know it’s done when it feels smooth. If you have accidentally beaten the egg white too much, you’ll notice that it’ll look dull and it will start to separate, with liquid pooling at the bottom. All hope is not lost, however. You can save the mixture by adding one egg white. After adding the egg white, gently whisk it (do not use use a hand/stand mixer) and it should revert back to stiff peak.